Lotus Nguyen is the creator of the HEART-MINDfulness™ system which is designed to assist busy individuals and organizations who want to enhance wellbeing, increase performance and achieve success. 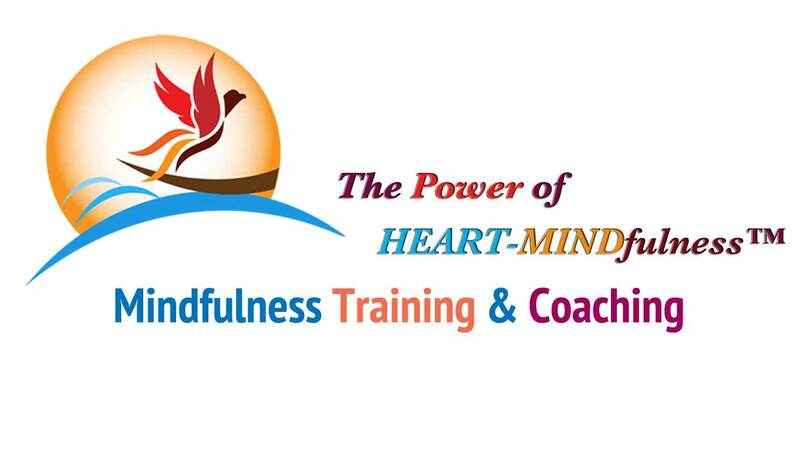 Through HEART-MINDfulness training, she help her clients tap into their resources and unleash their power to effectively deal with challenges and experience more peace, joy and fulfilment in their daily lives both at work and at home. Lotus knows the challenges that busy men and women face, particularly in this fast changing, highly demanding and stressful world we live in today. Born in Saigon, Lotus has been an entrepreneur since her teenage years when she became the family’s breadwinner after the end of the Vietnam war. There were times when she experienced tremendous hardship and even risked her life, yet she managed to both work and finish school with the highest grades including a national prize in physics. After graduating from Hochiminh City’s Pedagogy University, Lotus was offered an opportunity to work for a television company in the UK. She then created her own independent production company and worked as a director and producer making documentaries for British and international broadcasters for fifteen years. It was an exciting but also challenging time, being uprooted and having to make a new life in a new country. Her Buddhist background meant that she meditated from the age of twelve which kept her connected with her heart values and allowed her to get through the toughest times with kindness and compassion. It was not, however, until she encountered mindfulness as taught by the Zen Master Thich Nhat Hanh at his monastery in Plum village that her life was truly transformed. Mindfulness deepened her understanding of her own self and the surrounding world. She was able to find the perfect balance of Eastern philosophy and Western lifestyle. Since then she has dedicated her life to mastering the art of applying the ancient practice of mindfulness for modern day impact. Mindfulness has scientifically been proven to be a powerful tool for productivity, healing and wellbeing. Originating from Buddhism, it has been taken on wholeheartedly by the West and has grown exponentially in many areas of life from hospitals to schools, from sports to wellness, from individual practices to corporate management. According to The Economist magazine (November 16, 2013) “Mindfulness can be found in every corner of the corporate world.” It is already used by Google, eBay, Twitter, GlaxoSmithKline, the British Civil Service and many more. These organizations have recognised the many benefits of mindfulness and have incorporated it into their operations. However, Lotus believes that while Western mindfulness-based approaches are beneficial in their own rights, they focus on the outer symptoms and do not always address the underlying causes. Dealing with the roots of our deep unhappiness is the basis of Buddhism. As a long term Buddhist practitioner, she has come to understand the Buddhist essence and uses it as a strategy for her personal and professional life in the West. Her aspiration is to reconnect mindfulness to its roots while making it relevant to modern daily life, easy to understand and simple to practice. Having spent two years deliberating a way to combine the scientific approach with a 2600-year-old wisdom into one single system that all can understand and relate to, she dived deeply into Buddhism as well as Western psychotherapies. This meant researching and training in subjects like Mindfulness-based Cognitive Therapy (MBCT), Acceptance and Commitment Therapy (ACT) and Life Coaching. With her own experience and insights coming out of her practice, she created the HEART-MINDfulness™ system that provides a comprehensive and skilful strategy for a stress-free, successful and happy life. She also aspires to share mindfulness in a fun, creative and interactive way so she has also created Mindful Tango™ offering simple tools and techniques to apply HEART-MINDfulness into the passion, fun and movement of Argentinian Tango, one of the world’s greatest dance forms. Nguyen’s mindfulness work has been featured in The Everyday Urban Spiritual, Kindred Spirit, and Dance Today. She have also co-written a best-selling book on Amazon called Rapid Change for Heart-Centered Women. Subscribe to receive special offers on our programmes, articles and tips.